Promote your brand while giving your clients a bespoke experience with the power of Fluid UI. "One of the best prototyping and designing tool"
Fluid UI is one of the best designing and prototyping tool, you can design your app or web applications and show the prototype to your client easily without any problems. The UX of this tool is also very great, when I started to using it, I face no problem to understand it. The tutorials also are very helpful to get you started. The only thing I don't like in this tool is you have to buy this product at first start, there is free account option available but you can't make at-least one project without upgrade to Solo, Pro or Team plans. I think they should make one project build free. If you are looking for great designing and prototyping tool for app and web applications, go for it. It is like a full package tool, you can design, make a nice and clean prototype then show it to your client without any problems. I can now do A to Z in this tool without using any other tool and getting feedback is also very simple and great in this tool so you can change your design according to your clients need. "Flexible, Easy to Use,User friendly and Device independent this is all about Fluid UI"
Fluid and Responsive UI Layouts are the one like hot cake in the market now a days. We can see the websites in any of the devices if we design our website in the responsive way. Before we need to write the css for everything now with the bootstrap everything is predefined with the standard id's and classes. It is good tool for all device independent prototypes. User friendly fluid and responsive UI's are easy to get through and navigate also for each and every individual who have the passion towards UI. A bit tough to fix UI issues and make it compatible in all browsers with all versions. If we go with frame works like bootstrap we need to be very efficient to make out which class is used for what. We should not add our own classes rather than that we need to go with the classes that are already defined in the CSS that has been already written. Maintaining the 12 column grid system as per our mock ups designed is a bit critical task to go with to overcome this we can use the responsive/fluid layout templates that are available in online were we can get the perfect look without any hassles. Yes i recommend this to all my friends and colleagues. With this Fluid UI we can create responsive layouts which are device independent with which we can make business working as a freelancer. "Create web and mobile prototypes quickly"
Prototypes can be created very quickly since all the tools are available in one place. It has a large number of components available for use and is compatible with iOS. The prototypes can be shared in the main web browsers. The free version is very limited since it is not possible to upload images and this is a very big mistake because the user is forced to buy the paid version or not use the software for a limitation a bit exaggerated in my opinion. Since I started using Fluid UI I have not been able to separate myself from it, since it practically has everything I need and it is possible to create an entire application flow. Highly recommended for those who want to create applications of all kinds. In my work I use it to create models of web applications. In addition to my company I also develop applications for third parties and Fluid UI has been my best choice. Fluid UI is on the lower end of functionality, so this tool is great for early stage prototypes, but I wouldn't use it for higher-fidelity mockups. Fluid UI is an easy way to create, portable quick mockups. I also have used Fluid UI for visualizing user flow. "Had some Good experience with it "
A very elegant and cool ui. Cool Tools to customise more clearly..
Good Pro and Term Plan to buy..
Uploading multiple images is not supported in this,you need to upload each mock one-by-one. Lack of ability to link your Dropbox folder means you need to switch mocks every time you make changes to your design. It is very easy to use so the beginners is learning fast to design in this.. I am currently designing my project ui with it..
To begin with, the user interface is actually enjoyable and We really like working on this type of interfaces. 2nd, the truth we have a lot of possibilities using the free plan, we can add gestures and transitions between pages. It can a good tool if we want to make a mobile application prototype, I will recommend it to my friends and colleagues. Regarding beginning stages it is straightforward, but for complex conditions i don't think this specific will wok. This allowed me to produce mockup UI designs with regard to clients. The drag plus drop featured saved me personally time adding factors I normally would use. I was able to create clean and sleek mobile application design concept for my clients. a fast ui and wireframe tool with great interaction functions. it provides some handy buildin elements that I can drag and use. I can show my coworker the flow of my ux and ui designs. Chinese characters not support very well. I used a lot Sketch before, I hope it can automatically work with my existing sketch files, including layers, libraries. now I have to rebuild everything on it. I best like the drag and drop option included, the text shadow effect, the shades and the widgets. I like having the ability to brainstorm my ui ideas in real time, without using code. The program is fine as is. Nothing needs to be changed. Perfect fo anyone starting in the UI Design Field! It allowed me to create mockup UI designs for clients. The drag and drop featured saved me time adding elements I normally would use. I was able to create clean and sleek mobile app design concept for my clients. "Really good tool for designing mobile applications!" First of all, the user interface is really pleasant and I really like working on this kind of interfaces. Second, the fact we have a lot of possibilities using the free plan, we can add gestures and transitions between pages. It's a good tool if we want to make a mobile application prototype, I will recommend it to my friends and colleagues. Maybe the fact we can just have one free project. Me and my team are currently working on an automation application that can handle several automation protocoles, and we are building an mobile application on iOS, Android, and Windows. So this tool can really help us out during the prototyping of those applications. I like a few features of Fluid UI such as widgets that are highly editable, built-in libraries for wearables are very useful, and the cure project cloning feature that has a sheep icon! And I like that is very affordable than any other tool out there. The real-time collaboration feature is not as intuitive as the InVision. 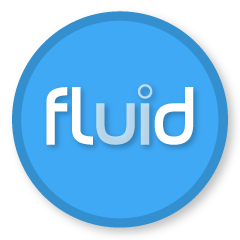 Fluid has great documentation and support. "Fluid UI is Appropriately Named"
I love that I can zoom out an see the interaction path between screens. I would love to be able to have a "select all" or "apply to all" when dealing with CTA interactions and animations. We set up new dev projects in Fluid UI for user testing in order to streamline the project prior to actual development and A/B testing. I like the ease-of-use with this platform. It offers many options - even with a free account - that allows you create wire framing. I wish the platform was more affordable for smaller businesses. If you want to use the free plan, create multiple accounts. The monthly/annual plans are kinda expensive compared to others, but overall it's a good platform for web-redesign. I liked the drag and drop design. Also that it was updated with the newest technology. It was often slow and would not automatically save my designs. 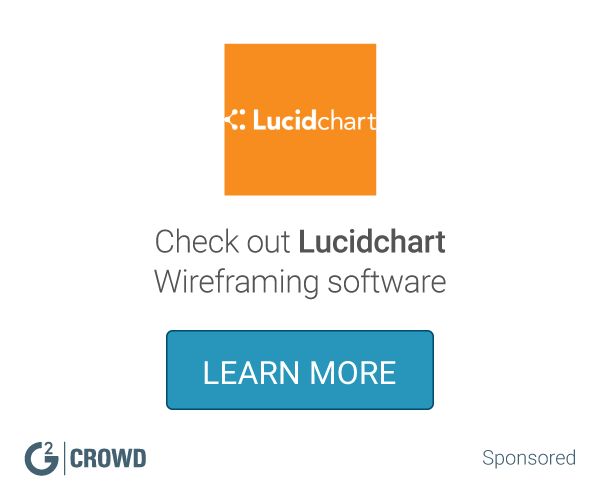 Be sure to understand exactly how you can share the wireframes with others. There are a few different levels of using this product and be sure it meets what you need it to for collaboration. It helped solve design ideas for new devices that were released. It was great software to get started quickly and easily. "Very easy and handy user experience"
Easy to develop any prototype. Easy to run through fluid ui app. Last time I have used fluid ui 1 week ago. Actually it should give a feature like open keyboard to type in edittext fields and also it should have check box check and uncheck feature. Check box check and uncheck feature. I am solving IT problems . i provide demos to my clients through this software. "Easy understanding of the product"
it is very easy for prototyping and also not everybody needs to be a designer.It also supports a variety of formats. for beginning stages it is easy , but for complex situations i don't think this will wok. i am using it on mobile applications. The visual design aspect of it. I was impressed with the end result. At the time that we used it, we had to use an internet browser to build anything, but I think that's changed now. We were looking for a prototyping tool. The one we ended up going with had more features, but this is most certainly a great choice as well. "Good enough for your quick needs"
It's great to be able to do this in a browser and it has some good components to it. I love that I can connect my mockups so that they seem interactive. I would prefer to have some sort of way to continue working on my mockups between devices in an easier way. I think if they had an app as well, that would be ideal. It's great since the overhead learning isn't as bad as using something like Adobe CC, Sketch, or Azure. It's very good for brainstorming in session. The usage of the tool is very intuitive. It supports a variety of device types and formats. Sharing option is great while working with teams. It's little hard to upload multiple images. It's a great tool for working the project from scratch. This is a great tool for creating high quality prototype. It's very easy and intuitive. Sharing is very easy. I am using it share product specifications and FRD with me team. The part I like best is moving from one page to another. It is simple and so easy to do! Nothing! It is one of the only Software Applications that I have no criticism for yet!!!! My team and I are working on utilizing Mobile applications more....this could be very helpful. "have used this product for prototyping a mobile application"
Great number of UI widgets and intuitive wireframing. Couldn't find any way to store a sample data. For example when user select a cell from table, I would like to show a detail of that cell dynamically. quite easy to use and simple, so by using this product I could save much time to create the proof of concept. * We monitor all Fluid UI reviews to prevent fraudulent reviews and keep review quality high. We do not post reviews by company employees or direct competitors. Validated reviews require the user to submit a screenshot of the product containing their user ID, in order to verify a user is an actual user of the product. Hi there! Are you looking to implement a solution like Fluid UI?